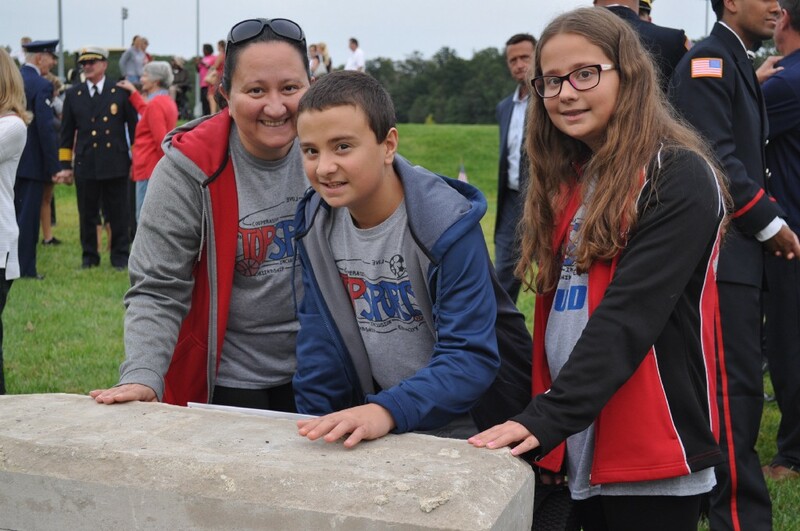 From left, Maria, Justin, 13, and Jessica Blanda, 11, place their hands on a piece of granite from the attack on the Pentagon building in Washington, D.C., on Sept. 11, 2001. Harrison Township Mayor Louis Manzo announced the designs for a permanent 9/11 memorial, while the Mullica Hill Rotary Club promotes community service to encourage new membership. Also, Clearview Regional High School girls soccer aim high for fall season. Check out some of the top stories from the past week in the Weekly Roundup. As the newly elected president of the Mullica Hill Rotary Club, Denise Racano is looking to expand the organization’s membership through improved social networking and outreach programs, while continuing to provide numerous annual community service projects to Harrison Township and its surrounding neighborhoods. As the summer season comes to a close, the Mullica Hill Women’s Tri-Club looks to its upcoming events and programs to stay active during the autumn months. Alongside the regular programming of exercises, runs and workouts, adults and children, members and non-members, have the opportunity to participate in The Farm ride and run, as well as the fall season of Girls on the GLOW, a six-week program empowering young girls with confidence, endurance and strength. Clearview Regional High School girls soccer is ready to prove it can contend with the best teams in South Jersey Group IV. In 2016, the Pioneers had a breakout season, winning 12 games and recording the program’s first postseason win since 2010. Despite losing a few key players from last year’s team to graduation, Clearview is hungry to take another step forward in 2017 with a slew of upperclassmen who have logged plenty of varsity experience over the past three years. Harrison Township first responders, administrators and the community gathered at the William Wilt Soccer Complex on Monday, Sept. 11, to remember the day the world changed 16 years ago, when almost 3,000 Americans lost their lives to terrorist attacks in New York City, Washington, D.C., and the Flight 93 crash in Shanksville, Pa. With artifacts on display from each of the day’s events, Manzo announced the completed design for a permanent space for reflection and remembrance, to be constructed in time for next year’s Sept. 11 memorial ceremony.